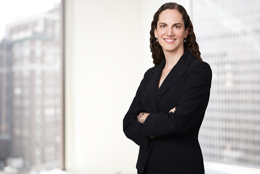 Trish Carreiro practices in the firm’s Litigation Group and has experience in a broad range of civil litigation, including cybersecurity, commercial litigation and insurance disputes. She has appeared before courts and administrative agencies alike and frequently publishes on cybersecurity issues. She received her undergraduate degree in Public Policy Studies from Duke University (BA, most distinguished honors), and her law degree from New York University, where she was a member of the Law and Liberty Journal. During law school she was awarded “Best in Mediation” in the International Alternative Dispute Resolution Mooting Competition in Hong Kong, and featured in an international press release on leadership. She has interned at the US Department of Justice, US Attorney’s Office (SDNY), US Securities and Exchange Commission, US Department of State, New York Office of the Attorney General and Connecticut Commission on Human Rights and Opportunities.